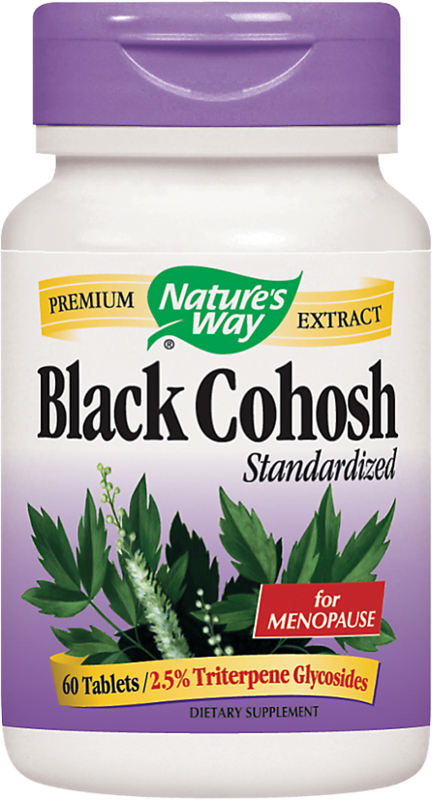 Nature's Way Black Cohosh extract is standardized to 2.5% Triterpene Glycosides. Black Cohosh is the most popular herbal supplement in Europe for women experiencing change-of-life(perimenopause) symptoms. 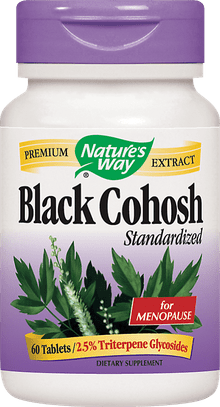 Black Cohosh provides isoflavones and other const ituents that help support a woman's health during this phase of her life. Other Ingredients: Cellulose, Maltodextrin, Modified Cellulose Gum, Silica, Stearic Acid. Take one tablet daily with water at mealtimes. Best results are obtained with continuous use.